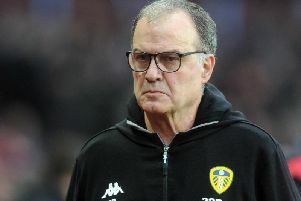 Leeds United's head coach Marcelo Bielsa pictured at 'Preston North End on Tuesday ('Picture: Bruce Rollinson). LEEDS UNITED head coach Marcelo Bielsa believes his side may have to win their final five games to pip Yorkshire rivals Sheffield United to automatic promotion. The Elland Road club reclaimed second place in midweek courtesy of a 2-0 win at Preston North End before the Blades were held 1-1 by Birmingham City. Sheffield United manager Chris Wilder, left, with Birmingham City counterpart Garry Monk prior to Wednesday's game at St Andrew's (Picture: David Davies/PA Wire). It was the fifth consecutive round of games in the Championship to end with the two Uniteds having swapped places behind leaders Norwich City, who enjoy a six-point cushion over Leeds with five games remaining. 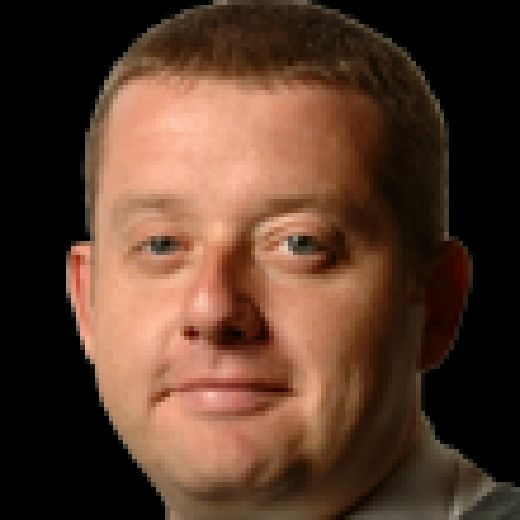 Chris Wilder’s Blades will return to the top two with either a draw or victory against Millwall at Bramall Lane tomorrow, which would leave Bielsa’s men needing to respond at home to Sheffield Wednesday in the tea-time kick-off. “We have to win the five games left,” said Bielsa, whose side also face home games against Wigan Athletic and Aston Villa, along with away trips to Brentford and Ipswich Town. “When you have few points left to win and you are in the last few games of the league (season) the gap or the space for mistakes reduces. Anything can happen in one football game. “Any of the results of our opponents could make us play more freely or play with more responsibility. “But with any result they (Sheffield United) get we still need to win the games. Leeds will have to get used to playing catch-up with the Blades, whose next four fixtures kick-off before those involving their rivals from up the M1. Most of these double-headers are within a few hours of each other. Only the penultimate weekend features games for the White Rose duo on separate days when the Blades host Ipswich on Saturday tea-time and Leeds then welcome Villa to Elland Road the following lunchtime. “I wouldn’t say we feel pressure,” said Tyler Roberts, who has been deployed in the No 10 role by Bielsa in recent weeks. “More excitement and positivity is flowing through the camp. Asked if he had watched the Blades on Wednesday night in their 1-1 draw at St Andrews, Roberts replied: “No, I didn’t. I watched Barcelona (at Manchester United in the Champions League on TV) and looked at the result after. “I also have got the app on my phone to see what the score is. I was flicking over the channels. Wilder, like Bielsa, believes fine margins may well decide this thrilling all-Yorkshire race for second place. “It is going to the end,” commented the Blades’ chief, who is hoping to have defender Jack O’Connell back to face the Lions tomorrow after missing the last two games through injury. “For me it is going to Stoke City (on the final day), right to the end of the season. “It is about an accumulation of points. I cannot be a rollercoaster, jumping through hoops on Saturday night if we win and then lower than a snake’s belly when a result goes against us. Like Leeds, the Blades are also at home on Good Friday. Nottingham Forest make the short trip north for a lunchtime clash before trips to Hull City and Stoke on the final day for the Blades sandwich that April 27 clash with bottom club Ipswich Town. Ahead of tomorrow’s Yorkshire derby at Elland Road there has been talk of the Owls possibly not wanting to do the Blades any favours. Steve Bruce’s side will arrive at Elland Road on the back of losing just once in 14 league outings. That defeat to Aston Villa last Saturday, though, looks like being costly with Wednesday sitting six points adrift of the top six with only five games to play. Nevertheless, Roberts added: “They are always going to be a tough team to play against. We saw that at their place (when Leeds drew 1-1 in September).